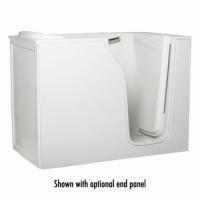 For the ultimate in assured bath safety, choose an industry-leading Sanctuary walk-in tub! 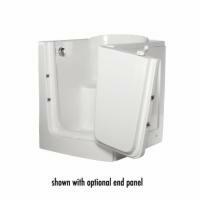 These walk in tubs either work with your existing fixtures or include compatible replacements. 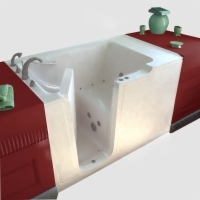 Choose a traditional lay-down model or a sitting walk-in bathtub. Lifetime warranty coverage on the doorseal is included with your purchase, so leaks will never trouble you. 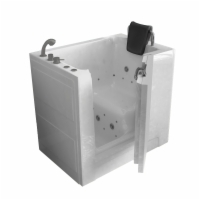 The Sanctuary Walk-In Full Bather is a great alternative to an ordinary bathtub, particularly for seniors and others with limited mobility. 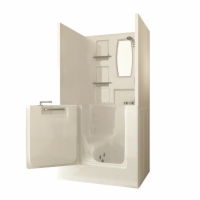 The Sanctuary Walk-In Bathtub can be positioned in most bathrooms for convenience and comfort. Available in 4 sizes. 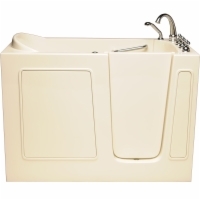 31" x 35" x 40" dimensions fit easily in most bathrooms, while leaving plenty of room to bathe and relax. 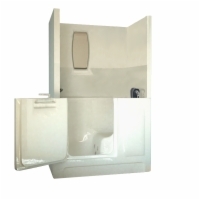 The Sanctuary Walk-In Bathtub Deep has extra tall sides that hold more water giving you the option of taking a deeper bath. 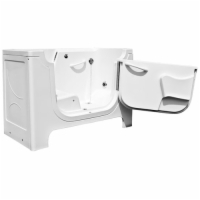 The Sanctuary Walk-In Bathtub King is a full size walk-in tub that will fit right into most standard tub openings without extra materials and gives the bather more space to relax. 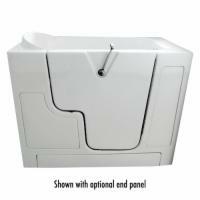 This medium-sized walk-in bath is durable, stain-resistant and easy to install. 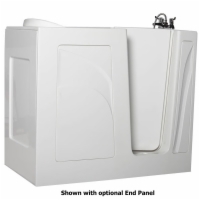 Comes with an array of features and options. 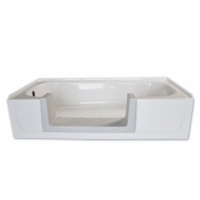 This small-sized, acrylic walk-in tub is a popular item due to its excellent safety features and options. 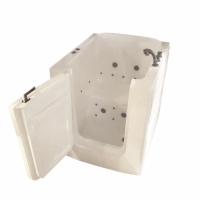 Enjoy the therapeutic benefits of a walk in tub fully fitted with air and water jets! 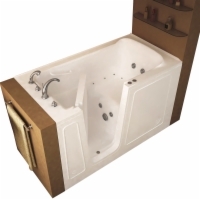 Our most luxurious walk in tub by far! 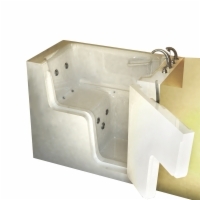 A durable, low-maintenance, safe small-sized walk-in tub that provides an excellent option for both disabled and able-bodied households. 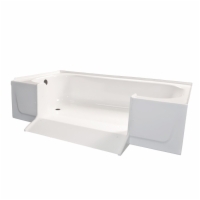 A durable, safe and low-maintenance medium-sized walk-in tub that provides easy access for disabled users. 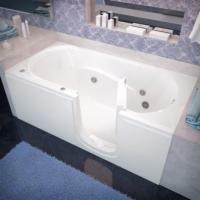 Our largest, bariatric walk-in bathtub that comes with adjustable feet to allow for an easy installation. 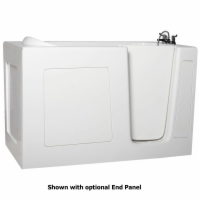 A 60 gallon medium-sized, durable walk-in tub that allows for easy wheelchair user transfer. 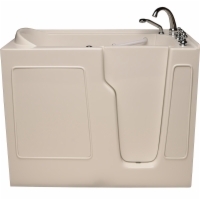 A 60 gallon, large-sized walk-in tub that facilitates easy transfer for wheelchair users.